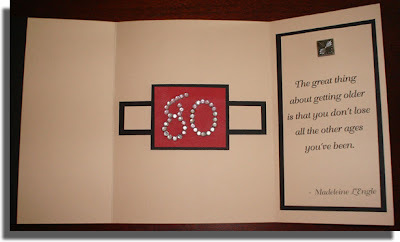 My mom is celebrating her 80th birthday tomorrow, so I made this card for her. 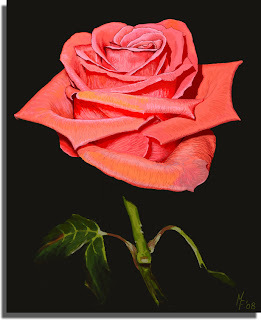 The rose image is a print of my digital painting. Self-stick gems gave it some bling, and I looked up the saying online for the inside of the card. And so it begins... I've discovered yet another vice to squeeze into my already full life. I guess it's not enough that I am a wife, mother, full-time employee, collector, scrapbooker, pet owner, avid reader, webmaster and blogger. Nope. Now I can add Digital Painter to that list. Here is my second piece that I finished on my Wacom tonight, after three days work. Not counting the time spent doing my other family duties (which unfortunately haven't miraculously disappeared), I would guess that I worked on this a few hours per day. So this took about 6 - 8 hours total. 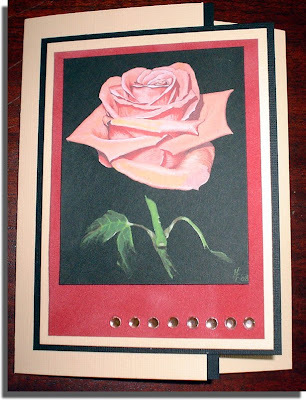 And in the true form of obsessive behaviour, I am already planning the next project in my head.